I manage primarily by influence, and to operate effectively with this style, you need to build trust and confidence between yourself and your clients and stakeholders. Consistently illustrating over time you have the clients’ interests foremost, but that a win-win with all stakeholders will enable overall project success, earns this trust. Stakeholders deemed both Avon and Dedisa peaking power stations a success, despite being a complex and risky project. Being the first independent large scale thermal plant additions to the national electrical grid in decades, there were many firsts and unknowns associated with the establishment of both open-cycle gas power stations, calling for a pioneering approach. The stakeholders were also diverse, representing different cultures, languages and nationalities. My role as project leader of the technical interfaces was to ultimately tie the power stations into the national grid and ensure local and regulatory compliance. Achieving effective communication, coordination and alignment between all stakeholders facilitated the success of this activity. 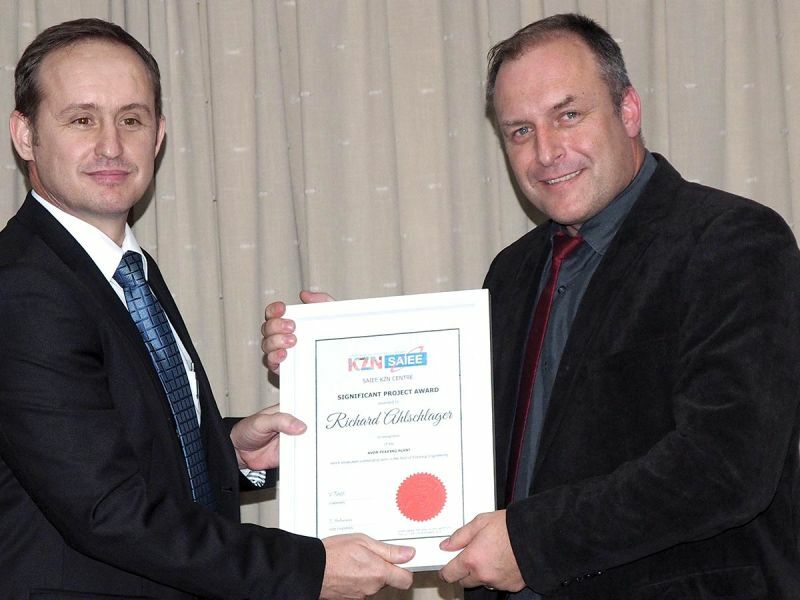 The award recognises achievement in fulfilling my obligations in both the technical and leadership roles. Opportunities like these peaking power stations don’t come around that often in a career. I am blessed I was in the right place, at the right time, and happy I could make something of it. In absolute honesty, this was very much a team effort with key contributions from many stakeholders. However, it was an honour to receive recognition for my small contribution. This is one of the key aspects I love about our profession; we leave a legacy behind for the benefit of society and others.